150 square feet. 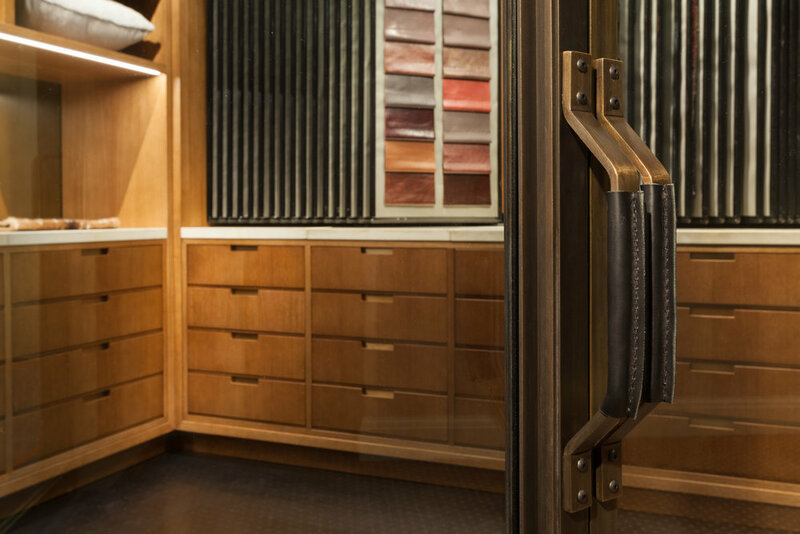 Great leather comes in small packages. 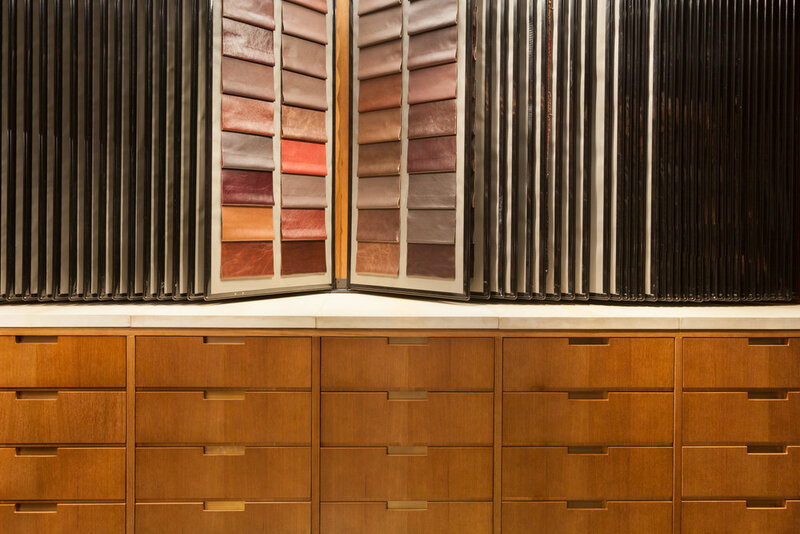 Designed for the venerable Andrew Feigin of Dualoy Leather, no detail was overlooked in this small jewel box of a store. Photographs by Chris Mosier.